Sifu Gary Lam trained with Wong Shun Leung for 15 years and Served as the instructor at Wong’s school for an additional 6 years. As Wong Shun Leung’s top student, Sifu Lam put his Wing Chun skills to test by entering tournaments and destroying the competition. 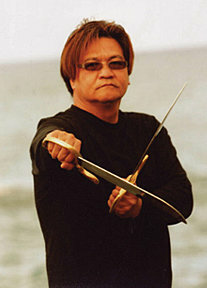 His excellent fighting skills made him the undefeated champion of the Hong Kong Full Contact Tournament in 1978-1979. His trophies and titles are too numerous to mention. In recognition of his Wing Chun skills and character, his Wing Chun peers elected him as the President of Hong Kong Wing Chun Society in 1991. 師傅論述“控制“Sifu Lam talks about "Control"